Natural burial is something old and new; It is a return to the ancient rites of the Great Cycle of birth, growth, death, and rebirth. It is a reclamation of traditional practices in the modern age. Herland’s Vision of natural burial encompasses death-care practices that enhance and honor the natural process that reincorporates a persons body into the landscape so that is can fulfill the cycle and be made available to nourish new life. In this way contemporary practices such as embalming, sealed caskets and concrete vaults, are replaced with less expensive, non-toxic and hopefully local materials. 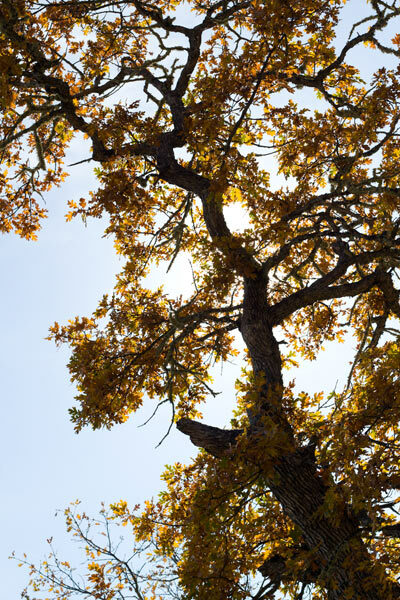 In the case of Herland Forest, our goal is to expand the Cemetery property in the future, bringing more Ponderosa Pine and Oregon White Oak woodlands under our stewardship, and partnering with these ecosystems to integrate our needs with the needs of the forest. Funds received for internment rights and burial expenses will support the Forest’s well-being via establishing beneficial plants, aiding the trees resiliency against fire, and by insuring habitat remains for wildlife. Our vision of natural burial also incorporates space for families to develop their own rituals, ceremonies, and rites of passage surrounding death, and the opportunity to practice these acts of celebration and mourning in a forest that will grow and flourish with new life nourished by loved ones. Creating new funeral traditions are an essential aspect of forging a new cultural relationship with death. We are passionate leaders in the fields of restoration ecology, steward and “green” burial. A central mission of Herland is to utilize regenerative land use practices to both provide for human needs and preserve the healthy functioning of the ecosystem. We hold a deep commitment to to learning from this land and as such undertake to fully explore the environmental benefits which flow from full body interment. In our daily lives, it can be difficult to find meaningful avenues to serve the natural world. Natural burial offers individuals a way to realize the truely life-giving potential of death, a chance to honor and re-enter the natural cycles of life, and an opportunity to celebrate that passage with loved ones in a beautiful and meaningful forest setting. For generations to come, this cemetery will be protected from development, and will provide a quiet, natural place to sustain a vibrant and productive transitional ecosystem. We are grateful for the opportunity to provide a way for people to make a final contribution for the renewal of the earth. For More information about natural burial options, send us a message via the Contact Us page.